Our dependence on coal-burning power plants has led to rapid depletion in the environment’s health. These power plants are the main source of greenhouse gas emissions. In order to create alternative renewable sources, science has teamed with innovative minds and created products that are fueled by kinetic energy. After the wind, solar, and hydroelectric energy, gadgets can now be operated on the energy produced by movement. 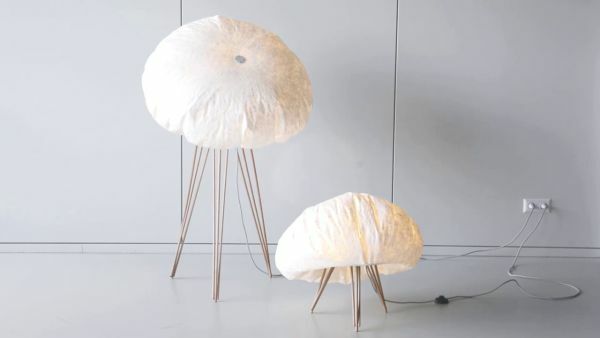 Design studio Toer unveiled their latest version of expressive fixtures, Moti as a part of the ‘Moving Design’ exhibit. These unique interactive lights respond to the kinetic energy around them to inflate into a radiant sphere. The speed of inflation depends on the speed of movements in the surrounds, peaceful surrounding will inflate the lamp slowly and active settings will see a faster inflation. A kinetic charger that charges your mobile phones and accessories by drawing energy from your movements, AMPY is a rage among fitness and environmentally inclined individuals. Measuring 2.5”x2.5”x0.75”, AMPY weighs about 140g only and houses a 1000mAh battery that charges as you move. With 10000 steps per day, or an hour of cycling, or 30 whole minutes of running you can charge the AMPY battery to use as a booster for your mobile phones or accessories later. This charger can also be used as a regular power bank by charging it from a wall socket. Additionally, it comes with a companion app that can help you trace a number of calories you burned while wearing AMPY and also the carbon footprint impact you made by using it instead of regular electricity. By harvesting kinetic energy from jumping ropes into usable electricity, Uncharted Play has released a limited beta of its PULSE Jump Rope. Minutes of play can provide hours of power through this spinning rope. The power is stored in the handles and can be used to charge lights, cell phones and small devices. The beta release is available for $129, with a fraction of each purchase being redirected to support the mission of this organization of expanding the reach of renewable power sources and STEM education curriculum. 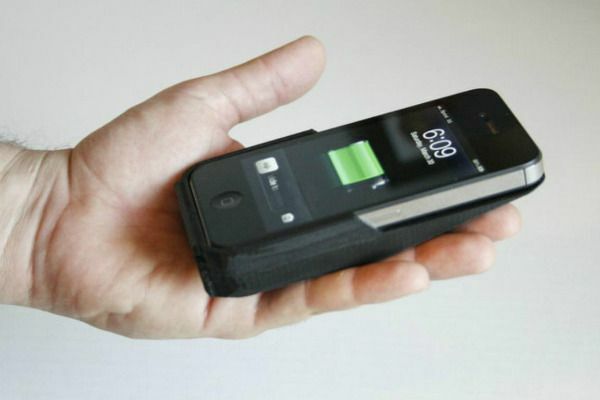 A crude 3D printed rectangular model of Infinity cell that connects to your phone through a cable will be undergoing some massive design changes during the streamlining process of its Kickstarter campaign. The Infinity Cell charges your phone by converting your movements into electrical energy. 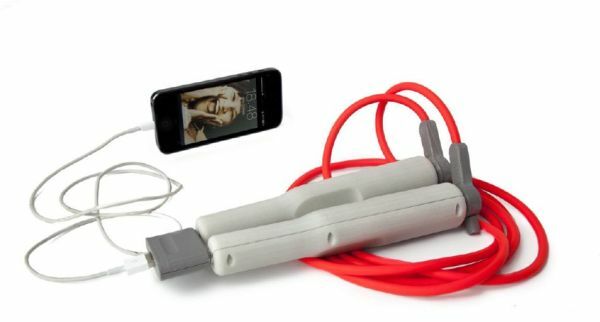 By shaking the Infinity Cell for about 30 minutes you can charge your iPhone by 20%. It is obviously impossible to shake the gadget for three hours to fully charge your phone, and hence the finished product will incorporate some functionality changes. The design will ultimately resemble a Morphie or Maxboost battery case that will slip over the phone to charge it through movements such as walking, jogging, cycling, running. A companion app will let users track their carbon footprint, calories burned, as well as assign them with badges on reaching specific energy saving rankings. 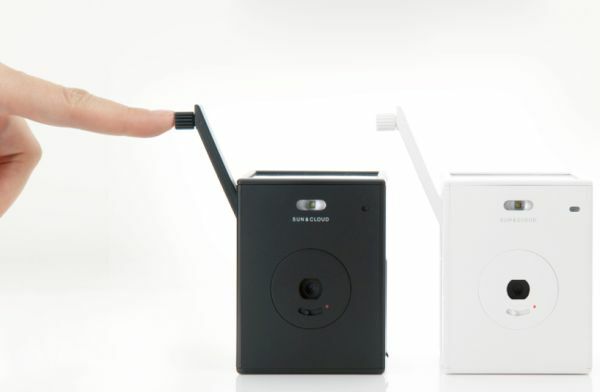 Billed as the world’s first self-generating digital camera, Sun & Cloud is a new hand-cranked camera by Japanese company Superheadz. Equipped with a solar panel to charge the camera in sunlight and a feature to be charged by kinetic energy, the camera can also be charged using the USB port for conventional electricity. The camera has a 3MP lens with three shooting modes-normal, portrait, and macro, and 15 different built-in filters. Compatible with micro SD and/or micro SDHC card, the camera weighs only 200g and measures 6x6x8 inches. Kinetic powered devices are reinventing alternative sources as well as motivating people to opt for a healthier and more sustainable lifestyle. In addition to cutting down on your carbon footprint and electricity bills, these gadgets can be a valuable aid in fitness tracking.